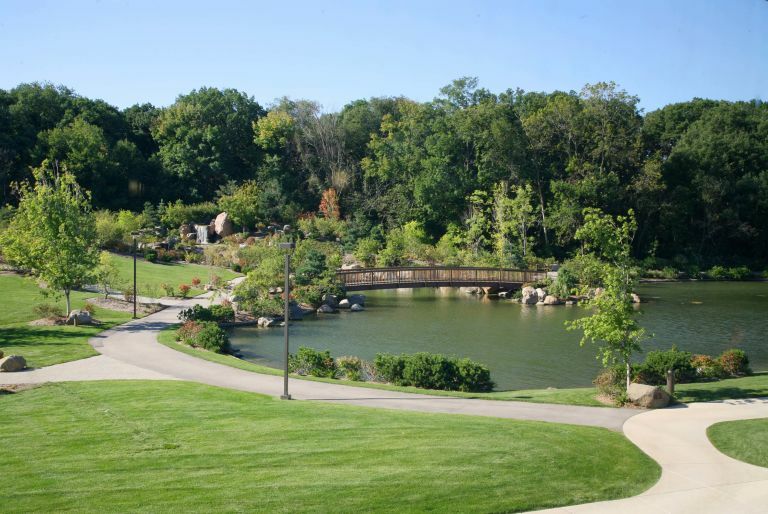 A healing garden for teens and their families, designed to support and enhance recovery and rehabilitation from substance abuse. The healing garden at Rosecrance, a substance abuse rehabilitation center, is an integral part of the character and functioning of the facility. 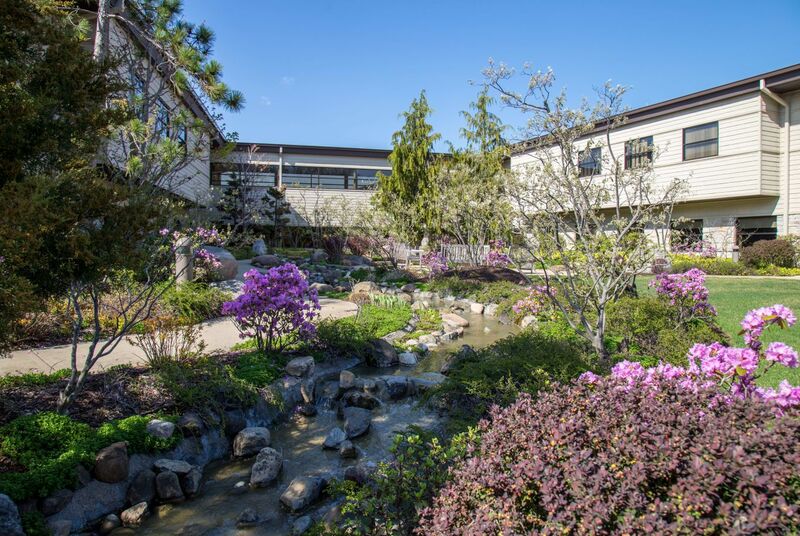 Designed to support and enhance recovery for Rosecrance's young patients, their families and program staff and administrators, the healing garden provides a setting for many purposes such as guided meditation, group therapy, family visits and individual counseling. 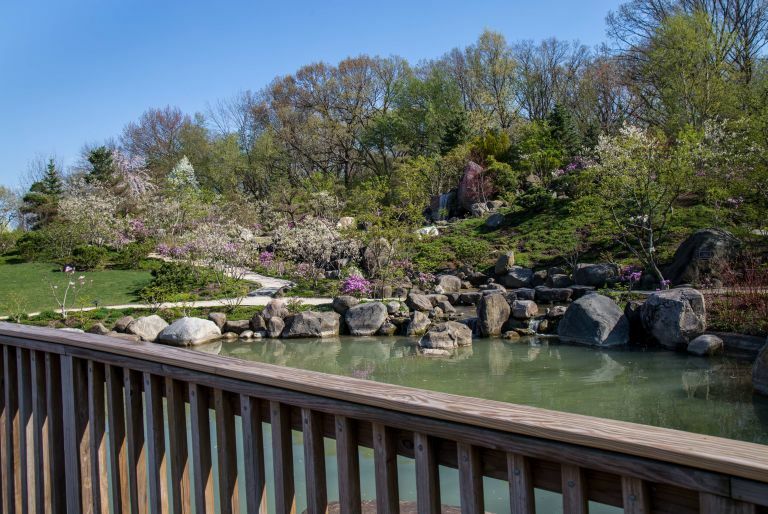 Thoughtfully placed benches and intimate coves throughout the garden provide gathering spots for more private meetings, and a viewing deck invites contemplation of the reflecting pond, its colorful koi fish, and the views beyond. 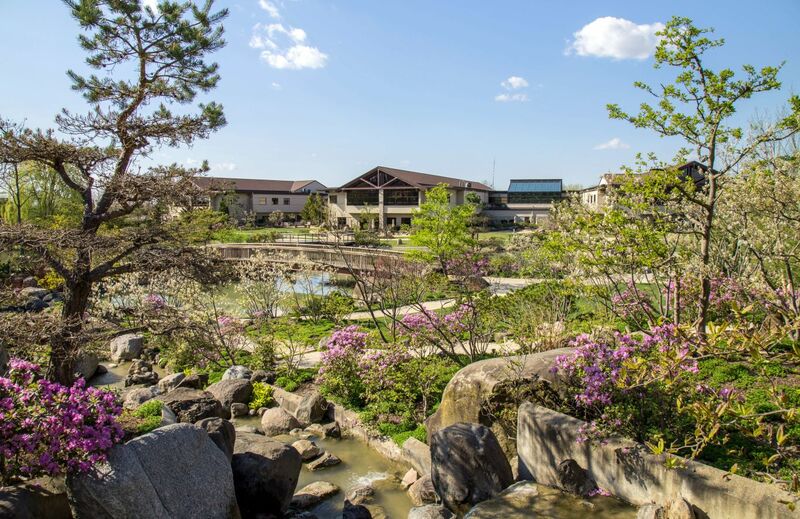 Two courtyards used for group activities immerse teens in nature, while a powerful waterfall flows over twelve distinct cascades, representing the steps of recovery in Rosecrance's 12-step-based program. Kurisu conducted post-occupancy surveys of the garden which revealed among the program participants a tremendously positive response to the healing garden, and a sometimes newly discovered affinity with nature. This healing garden inspired adolescents at Rosecrance to write poems and reflections, which have been published in the book, "Spirit of the Garden," available through Rosecrance. 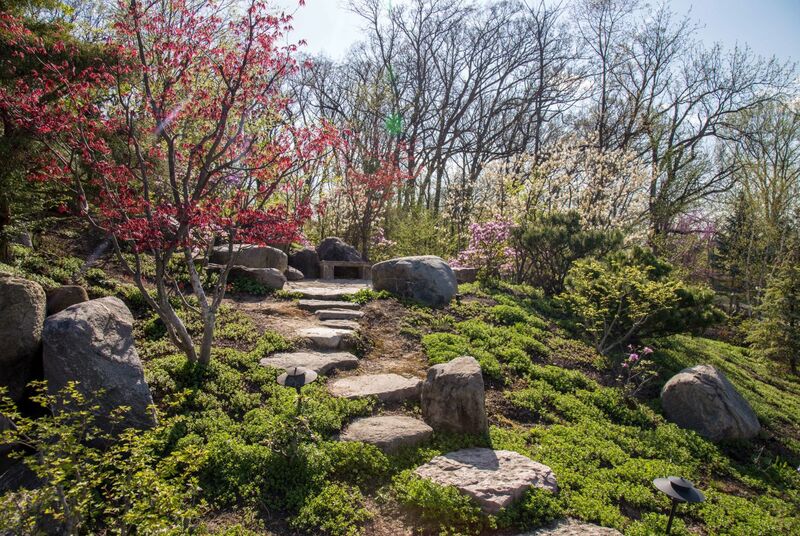 To learn more about Rosecrance's healing garden, and to watch a video of the garden made by one of the program participants, visit the Rosecrance Griffin Williamson Campus website. Whenever I feel weak in recovery, I look out at the garden and I realize that I couldn't enjoy all the beauty of the world under the influence. It reminds me of how much I want recovery. 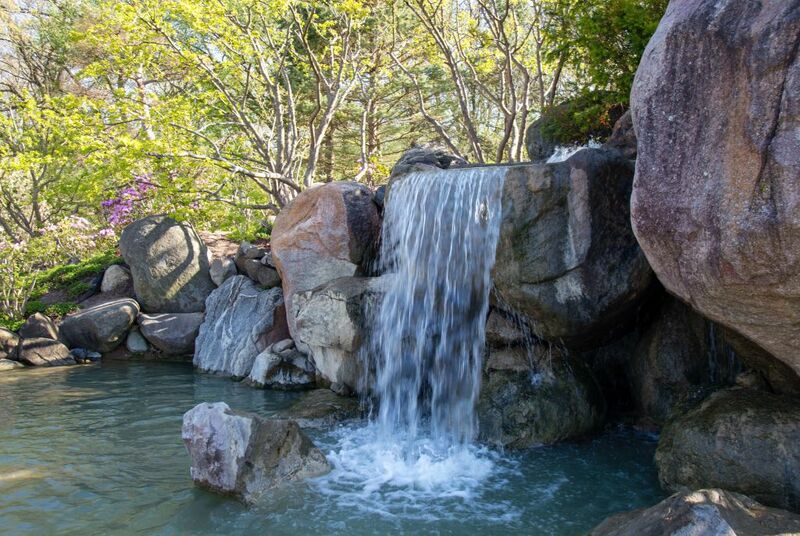 In the Rosecrance Griffin Williamson healing garden project, Hoichi Kurisu embraced the spirit of recovery with elements inviting clients and guests to become immersed in the garden. 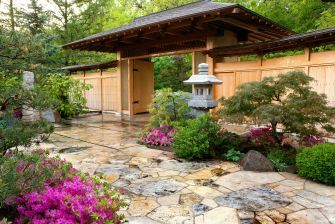 The garden sets the tone for the healing spirit of the building and the programs that are carried out in the building. It is an inspiration and motivator to all who see and feel its presence. 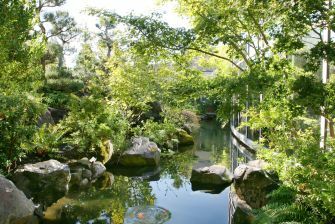 The garden emphasizes harmony and the spiritual connections between human beings and the natural world. It is a peaceful area to reflect on what I will accomplish in treatment and what I will do when I leave. The Healing Garden is a big part of my recovery. 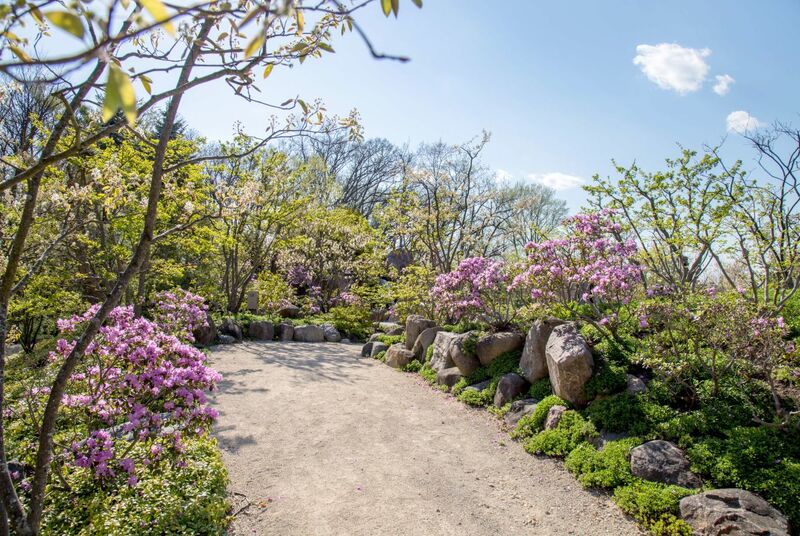 The garden connects to the heart and the human soul, and allows clients to process thoughts, emotions and experiences that might not be easily accessible or understood. 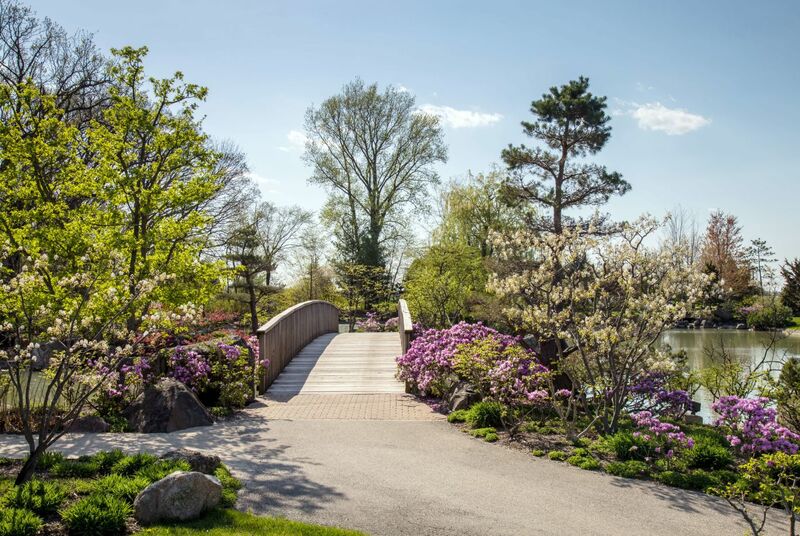 Many young clients have lost connection with their friends, families, the world around them and in some cases themselves; the garden reintroduces them to the simple act of connection. I was grateful I heard the swallow cooing as I walked in the garden and I looked up to see her nest... She reminded me that life is about the simple things, finding your niche to nest in even if it between a rock and a hard place. If she can do it, so can I.